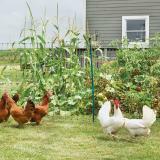 Starter kit contains all the essentials to fence a small flock of birds. 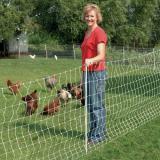 100 ft roll of 42" PoultryNet® Plus double spike electric netting creates a 25' x 25' enclosure. 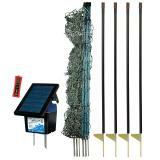 Solar IntelliShock® 60 fence energizer with U-Spike ground stake (combination ground rod and support stand) and wiring harness. 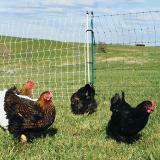 PoultryNet® Plus 12/42/3 is a 42" tall electrifiable prefabricated fence. 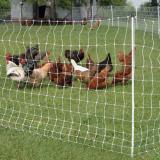 It arrives at your door as a complete roll with the double spike posts already built into the mesh/fence. 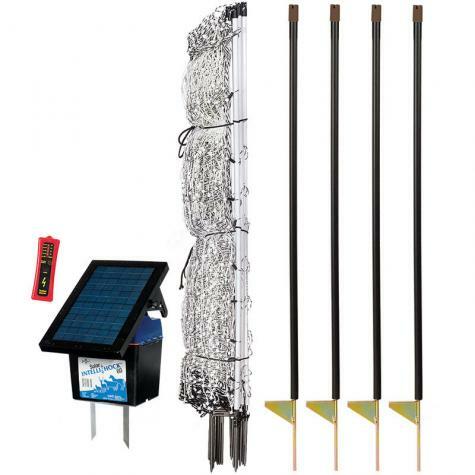 Features 12 horizontals strands (11 electrified) with vertical struts placed every 3". “Plus” nets include additional line posts spaced every 6'8" to reduce sag. Add 3 more rolls of item #207004 to create a 100' x 100' enclosure. 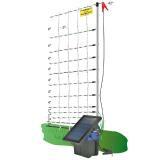 The Solar IntelliShock® 60 fence energizer will electrify 3-5 rolls of electric netting depending on soil conditions and vegetation. 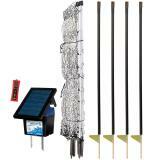 Use the 5-Light Wireless Fence Tester to determine if your fence system is working properly. At the end of the net, the approximate voltage should measure at least 3,000V. Consult the linked products or watch the videos above for installation instructions. Works great. 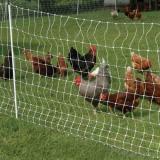 Can't wait until I get my other Shock-or-Not fence I just ordered. Love your products so far. Would definitely recommend Premier 1 for livestock animals. The fence is great! Very easy to set up. 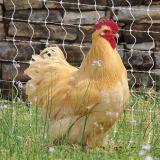 Only problem, the very next day after setting it up my hens flew right out. I’d recommend getting the 48”. 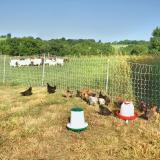 I bought this system as a deterrent to the juvenile delinquent coyotes who wiped out my flock. It was easy to set up. So I buy 10 new birds and install them in the new electrified enclosure. 30 minutes after turning them out, a hawk grabs one of my pullets. Not the fault of the fencing system, just my dumb luck. Long story short, this is a great system, easy to use. I will buy another roll to expand my pen. I now have a predator net over head. Very easy to install. Keeps my goats and chickens in. Very happy with this item.